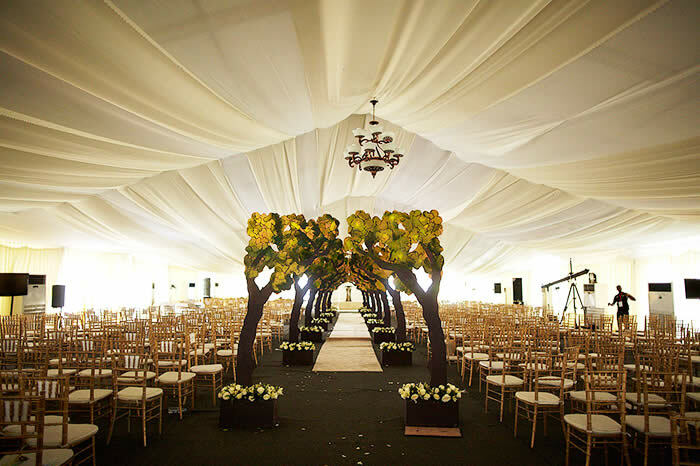 At Oaken Events, every client is special. We are dedicated to providing excellent customer service. Indeed your wish is our command! We ensure that every event planned is unique, memorable and special. 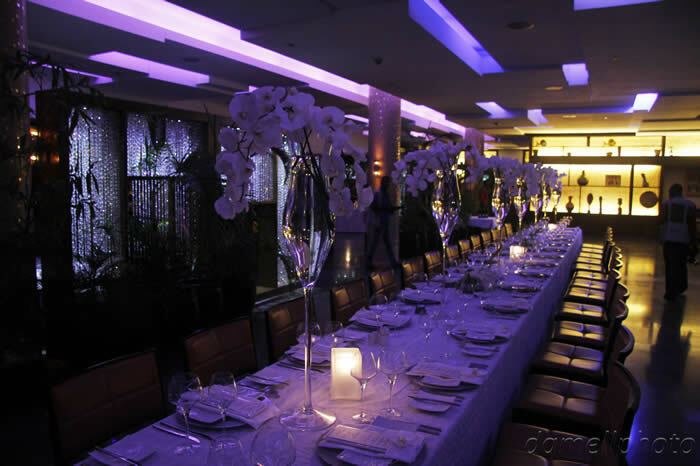 We ensure that all our events represent our client’s personality and style. Whether you wish to throw a birthday part, a themed event, romantic wedding or a ball. Oaken Events will create a breathtaking event, one that will leave long lasting memories and cherished moments for you, your entire family, your friends and guest. Your wedding is one of the most important days in your life. 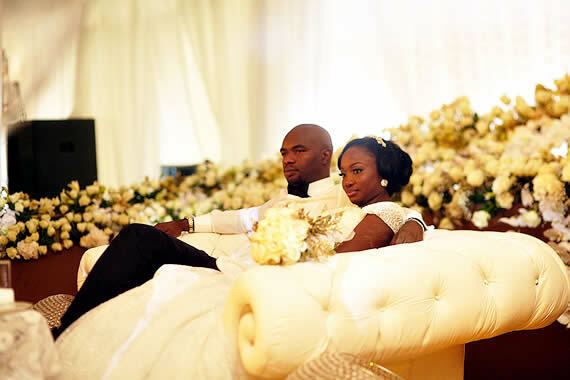 By hiring Oaken events, you can be rest assured that your dream wedding will become a reality. We are well equipped to handle every facet, so you can truly sit back and enjoy the result. From planning to execution, we at oaken are dedicated to you. We have different packages tailored to meet every clients need: Diamond, Topaz and Peridot. How do you plan a wedding for a wonderful lady and only daughter to a very important figure in our nation. At Oaken, we knew we had to bring out the extraordinary with this event. 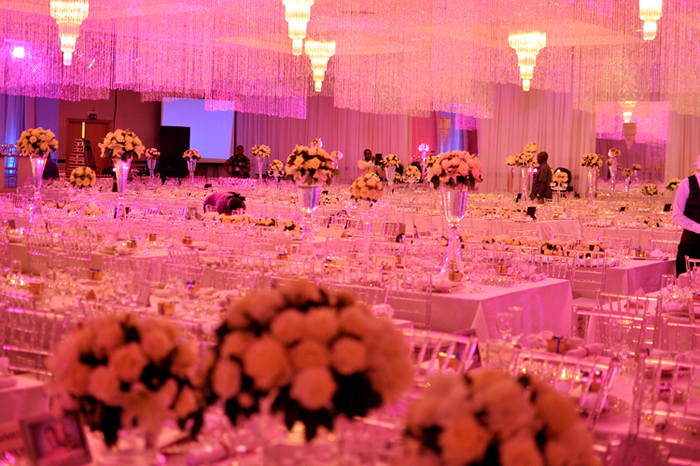 From her pre-wedding customized glass tables to church ceremony entrance this event truly was one of a kind. Our bride looked absolutely elegant and the groom was so handsome in his bespoke suit. The smile from their faces was evident of true love binding the two as one. When our bride approached us in Oaken to plan and design her dream wedding. We were excited with such an unpleasant past experience with other event companies, we knew much more was tossed on our shoulders. We pride ourselves in our ability to work within a client’s budget and while still providing that magical touch for the couple. 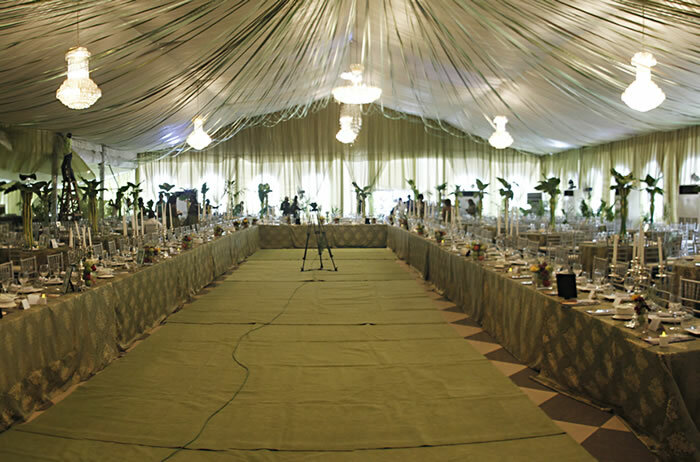 - Creating a budget for your event, which is determined by the total number of guest expected and the desired theme. - Drawing up a detailed and personalized timeline, which is a Count- down calendar, tailored, to your event. 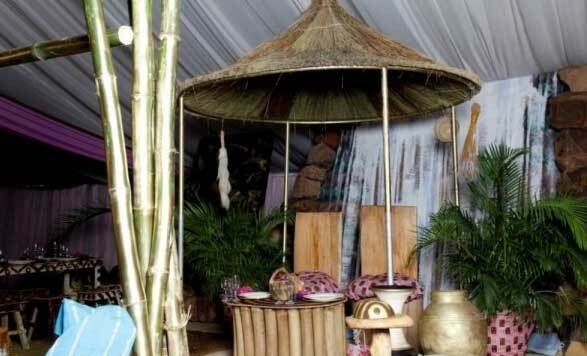 - Sourcing for vendors, best suited to your event and budget. We are also willing to work with your own prescribed vendors. - Creation of a floor plan, showing precise positioning of vendors, hostesses, seating arrangement etc. - Meeting with vendors on a regular basis to update on event plans. 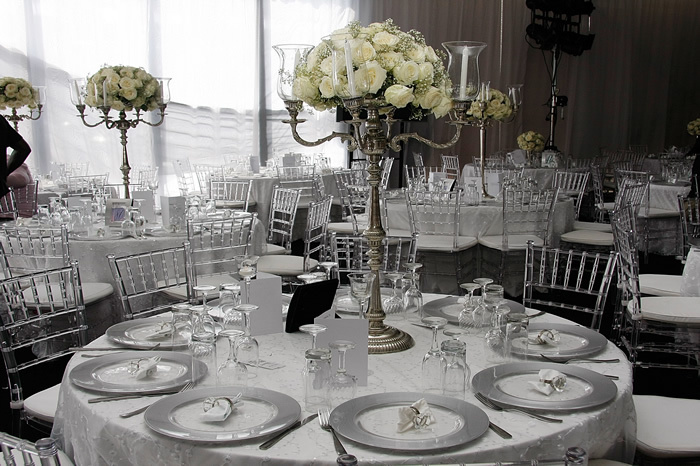 In a One-On-One consultation with Ayiri, you will be provided with expert advice on the best way to manage your event yourself or professionally at a fee. If you decide to hire us to manage your event, that fee will be refundable. 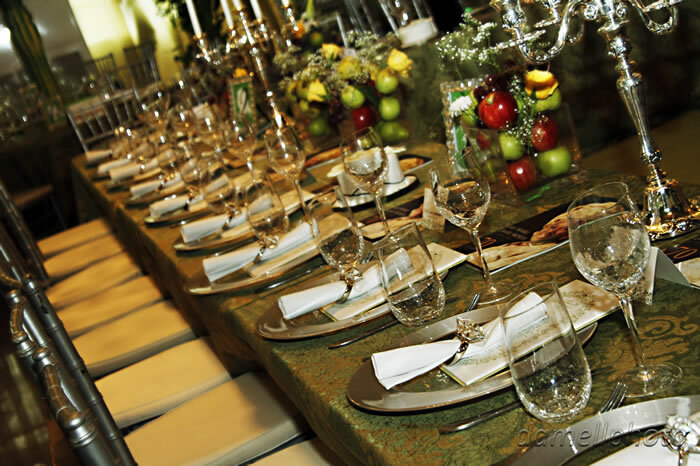 The seamless transition of the different aspects of any event is crucial to it’s success. Our team of professional event managers is available to provide expert co-ordination on the day of your event. This ensures that it runs smoothly so you and your guests can truly enjoy the moment. 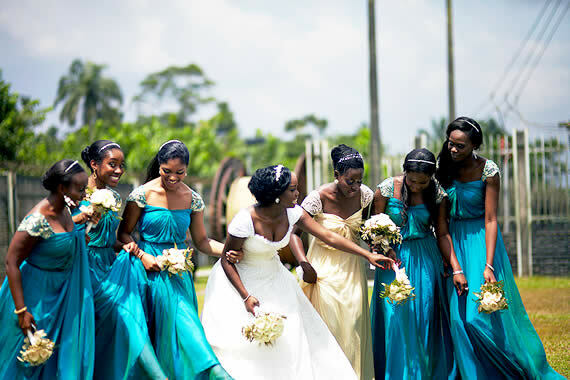 We provide well-groomed, professional, presentable Hostesses, ushers, usherettes and coordinators for your event. Following an initial consultation with you, we complete a detailed events questionnaire and furnish you with a comprehensive written quotation. We will work closely with you to ensure we offer venues and suppliers that reflect the type of event you require whilst staying within your budget. Once the venue is secured we will manage all the details from decorators, florists, photographers, caterers to entertainment. The client however, still makes all the final decisions. Corporate events are one of the best ways to celebrate your company’s success. Whether you are embarking on a new business venture or congratulating your employees on a job well done. 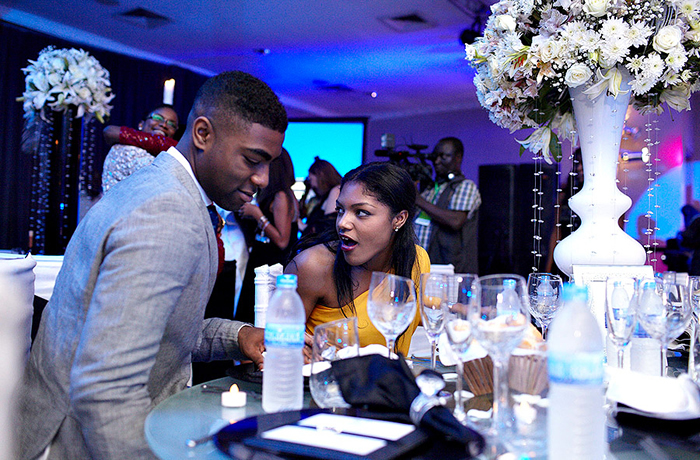 We will deliver the ultimate event experience for you and your brand. Our team can help you plan a global product launch, Charity fundraiser, Awards party, Team building seminars and the ultimate executive retreat by putting all the necessary elements together to best communicate your message. We guarantee your colleagues and guests will feel your hospitality. Share your goal with us and we will take care of the rest. Utilizing creative elements and ideas, we aim to make even the simplest design leave a lasting impression. 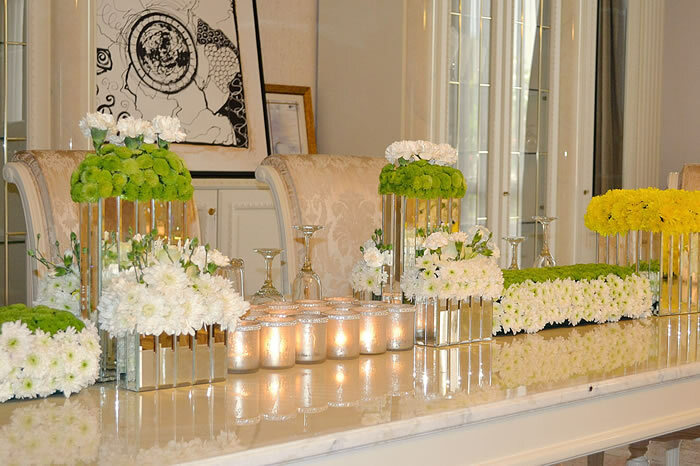 Uncompromised creativity and elegance are the basic elements in décor at Oaken events. 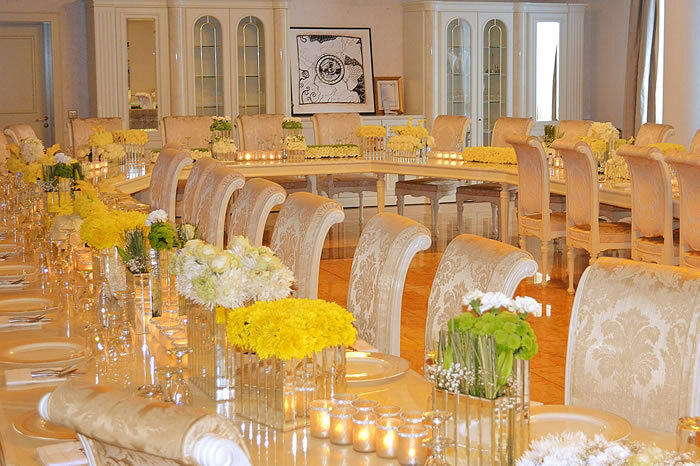 We create an enchanting ambience that usually exceeds the expectations of our clients. Whether it is your 40th or 70th birthday or a surprise baby shower, celebrating in style is our passion and what we live for. We enjoy collaborating with clients to make their milestone celebration meaningful. Oaken will be with you every step of the way, creating on unforgettable experience.